Chiropractic care is a method of primary care that addresses the body, in its entirety. Chiropractic care can also be a diagnostic system that can determines the root cause of your symptoms. Our treatment plans are devised to address this root cause(s), and treat the problem – naturally. It is more than just symptom care. psychological and emotional stresses (stress levels, sleep patterns). Your spine and nervous system must react to all these stressors – and sometimes the reaction is a good one, sometimes it is not. When you are healthy, your spine and nervous system will react appropriately. When you are not healthy and under too much stress, your spine locks up, and muscles and joints stop working properly. Flexibility of the spine is a direct measure of a person’s health. 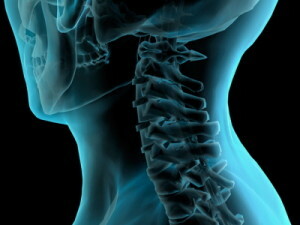 Your spine protects your spinal cord the same way your skull protects your brain. Chiropractic care is a natural way to treat the body; we integrate joint movement, posture, muscular and myofascial work, foot mechanics, core strength, and balance into all our treatment protocols. Treating all aspects of flexibility and movement patterns is our approach to achieving real, long-lasting results.